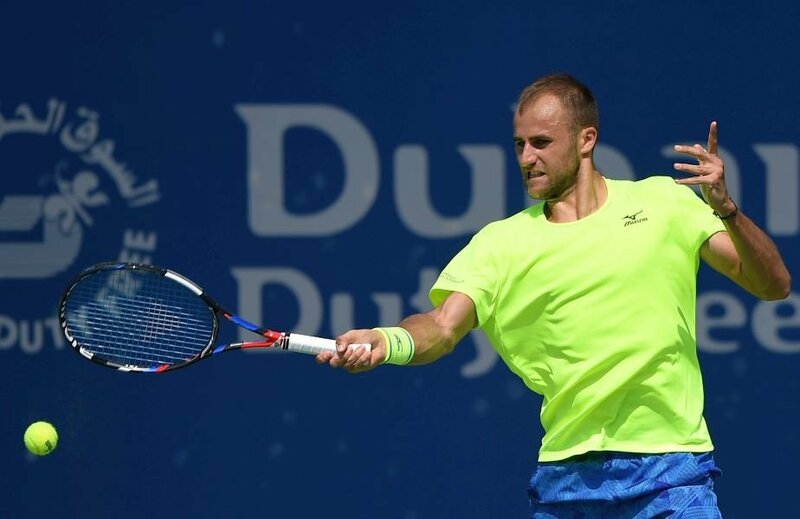 Marius Copil defeated the wildcard entrant Cem Ilkel in straight sets (6-4 7-6) to advance into the round of 16 at ATP Antalya on his debut appearance. The big-serving Romanian’s previous main draw appearance in a grass tournament came at ATP Hertogenbosch two weeks back, where he defeated Aljaz Bedene and Yuichi Sugita to reach the quarterfinal. Marius Copil was going through a four-match losing run before entering the grass season. Earlier this season, he went ever so close to lifting his maiden tour title at Sofia but failed in the title-decider against the Bosnian Mirza Basic in three sets. Playing his first grass tournament of the season at ATP London last week, Damir Dzumhur put in a fighting performance before going down in three sets against Grigor Dimitrov in the first round, 3-6 7-6 3-6. ATP Antalya debutant, Damir Dzumhur, has played only 12 matches on grass in his career and ended up losing eight of them (4/8). His best result on this surface was reaching the second round at Wimbledon, in 2016 and 2017. World #30 Damir Dzumhur ended his clay season with a tough and heartbreaking defeat at the hands of Alexander Zverev in the third round of the French Open, despite getting a handful of chances to win the match, 2-6 6-3 6-4 6-7 5-7. However, it was his best result since reaching the quarterfinal of ATP Marseille in February 2018. Damir Dzumhur leads the H2H 2-0 and will once again start as the favorite, but playing on grass gives Marius Copil his best chance of scoring his first win against the Bosnian.